This December seems to have been calmer than usual, which is rather nice. We’ve both had concerts – Tom’s choir sang a delightful program of Spanish Christmassy music whilst mine performed Handel’s Messiah at Carnegie Hall, and of course there have been some carols too. Other than a single string of lights we haven’t bothered decorating this year, but have been making the most of every opportunity for festive food and drink, with one particularly note-worthy weekend including both the first mulled wine of the season and Tom’s first attempt at hasselback potatoes (an epic success!). 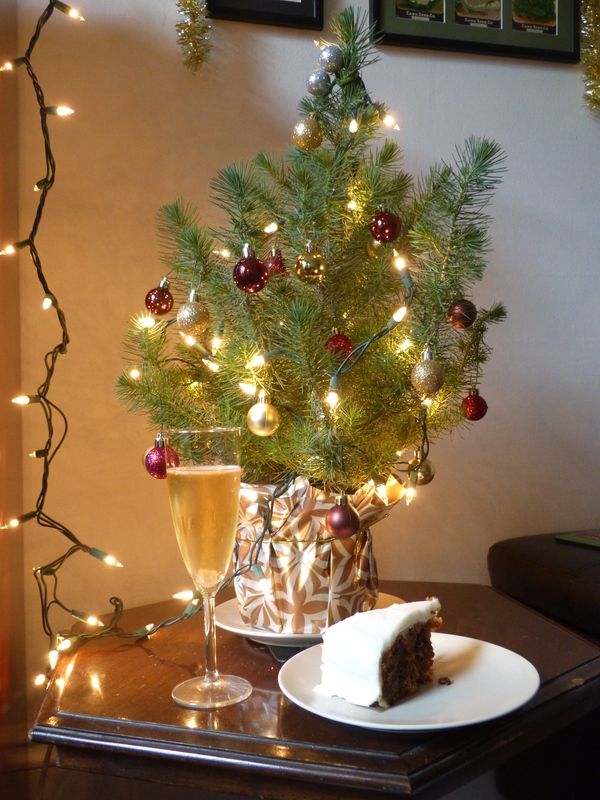 December seems to have lasted an awfully long time this year. I’m not sure whether that’s because we’ve been more or less busy than usual – I’m actually inclined to suspect the latter, but nevertheless we seem to have maintained an action-packed schedule. What better way to spend the afternoon of Boxing Day than by going for a walk? Particularly if that walk takes in an array of extravagant Christmas lights. 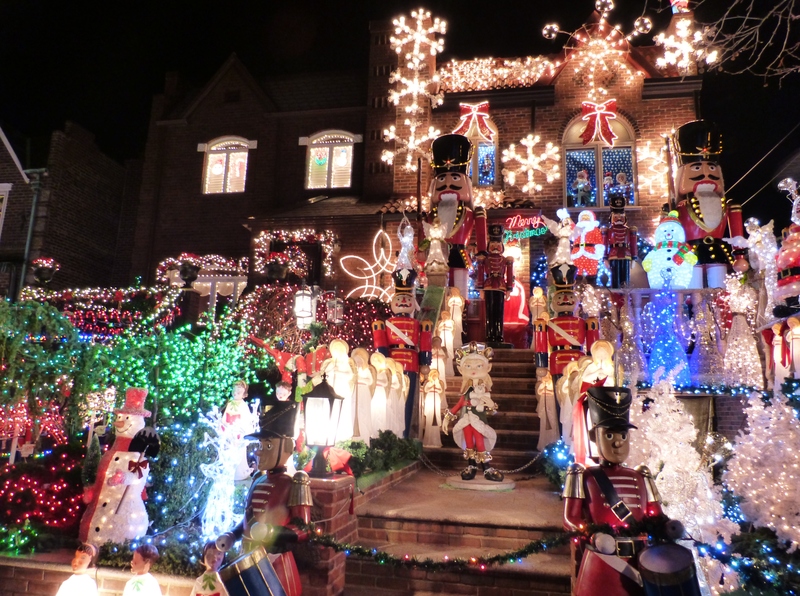 Following a friend’s recommendation we headed out to deepest Brooklyn to see the Dyker Heights displays, which turned out to be well worth the trip.